Like another of our favourite artists, José Mercé, Miguel is at ease singing a wide range of palos. And like Mercé, he treats the palos with respect. He adds his own sublime talent, duende and exceptional voice, of course, but the palo shines through. This is harder than it sounds. Many artists get carried away or simply try to make up for their limitations by embellishing their work unnecessarily. It takes true talent to keep it as simple as Miguel does on this album and for the results to be so profoundly moving, entertaining and timeless. There are thirteen songs on the album ranging from the the Cante Jondo (deeper, purer flamenco) of the Minera, the Bulerías or the Tientos de Pastora to the more upbeat and fun palos such as the Tangos de Triana and a glorious Bulería de Cai. We’re going to take a look at four songs and hope this will give you an idea of why we are so excited about this album. 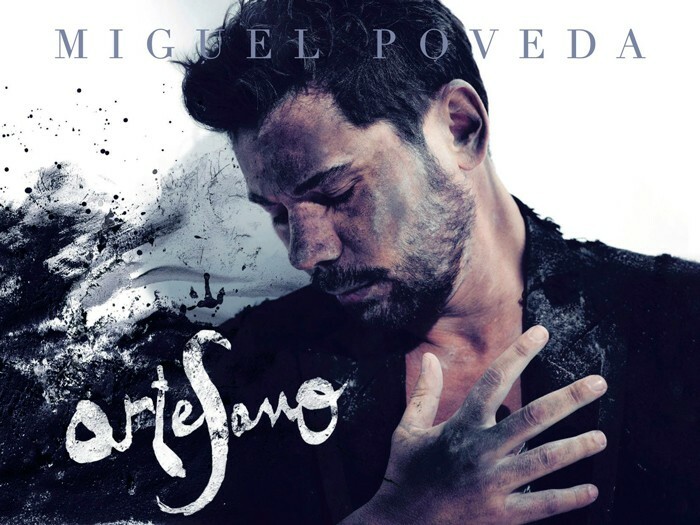 El Alfarero is a bulerías featuring a truly breathtaking vocal performance from Miguel. His quiebros (the breaks, sudden changes of tone) are impressive. Perfectly executed and in the right place. The guitar accompaniment from Manuel Parrilla and Diego El Morao is exquisitely measured, never intrusive. The backing jaleos and palmas just make this a joy to listen to. The Malagueña, De La Peñaranda, features Manolo Sanlúcar on guitar. A take on the palo that is clearly looking up towards Ronda and the Sierra. There is a sombre seriousness to this one that leans in the direction of the Serrana. The melodic delivery and warmth in Miguel’s voice keep it in Málaga, but only just. There are a couple of lighter gems on here as well. Mrs Maki was transported back to her childhood and the corrales de vecinos in the Barrio de León in Seville by the Tangos de Triana, Triana, Puente y Aparte. A choral palo, featuring call and response: this is music to let your hair down to. An invitation to dance, sing along and have a good time. The beauty here is the interaction between Miguel and the backing artists. He’s the singer of course but everyone’s involved. Last up, here is ¡Qué Disparate! a Bulería de Cai, a breakneck take on the Tanguillo perfected in its day by the late Chano Lobato. Tongue in cheek social comment on modern Spain and our insistence on having a good time as the world collapses around us. There is a brief cameo from Racanpino the veteran cantaor from Chiclana. When you visit the palos of Cadiz and an artist of his stature wants to get involved, you know you’re doing it right. We hope you enjoy the album as much as we do.